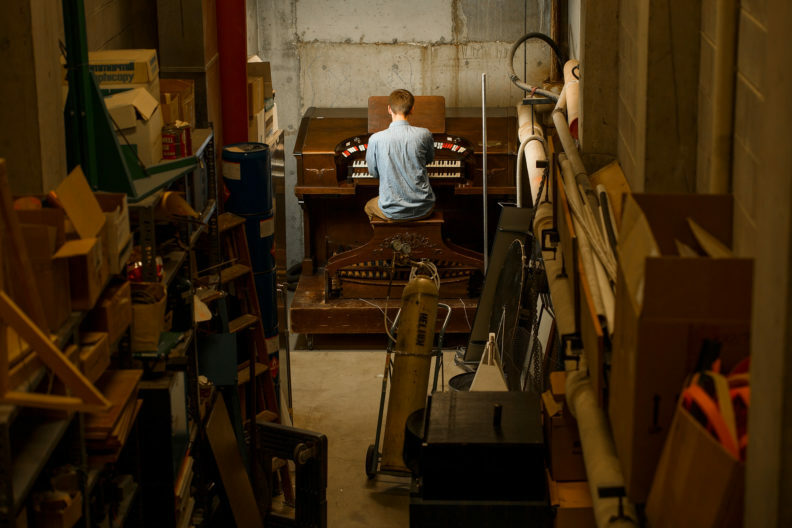 Sophomore Thomas LeClair is trying to fix a 91-year-old theatre organ languishing in the basement of the Webster Physical Sciences building on the Pullman campus. 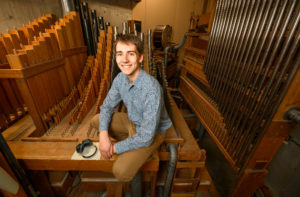 A biology and music double degree student, LeClair discovered the instrument while thumbing through old files in the WSU Libraries Manuscripts, Archives and Special Collections. In 1927, early Pullman developer P.W. Struppler purchased the organ that is now in the basement of Webster to accompany silent movies at the soon to be built Cordova Theater. It was donated to WSU in 1961 and installed in the physical sciences building in 1975 at the behest of then-chairman of physics Edward Donaldson where it was used to demonstrate and study musical acoustics. LeClair was told to talk to Tom Johnson, a scientific instructional technician for the physics department, about the organ. Johnson had known about the old instrument for years and he and LeClair decided to see if they could fix it. LeClair said tuning and refurbishing the organ is both a time consuming and expensive process but his eventual hope is to get it into good enough shape so that he can record a video of himself playing the WSU fight song to help raise money for much needed repairs. In addition to his musical exploits, LeClair is a student ambassador for the College of Arts and Sciences and an undergraduate researcher in biology professor Wes Dowd’s lab. He is helping Dowd’s team examine how tiny crustaceans called copepods are adapting to survive in ocean environments that are rapidly evolving as a result of climate change.